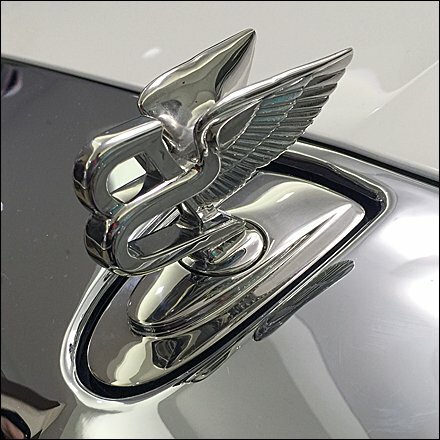 Not only has this Bentley® taken a Mall Concourse location previously occupied by a Rolls Royce®, the winged “B” hood ornament does battle with Roll’s “Spirit of Ecstasy” for market top-of-mind recognition. Both brands reached sales peaks for 2014 so I guess there is enough of a market to share among only limited numbers of Bentleys and Rolls produced. I wish that was the case in my industry. CLICK through the gallery and see at what point you recognize the hood ornament is not that of the Rolls you might have expected. One-upmanship indeed.